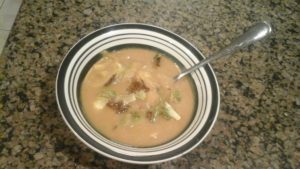 This soup is so easy to make, so tasty, and so healthy! Cut the woody ends from the asparagus and set aside. Cut the tips off the asparagus spears and set aside separately. Place stock in a large pot and raise temperature to medium heat. Add woody ends of asparagus to the pot. Heat for 20 minutes, then strain the woody ends from the stock and discard. 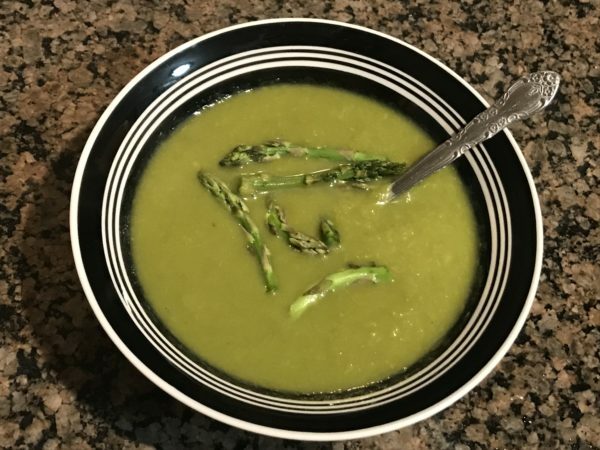 Set asparagus-infused stock aside. 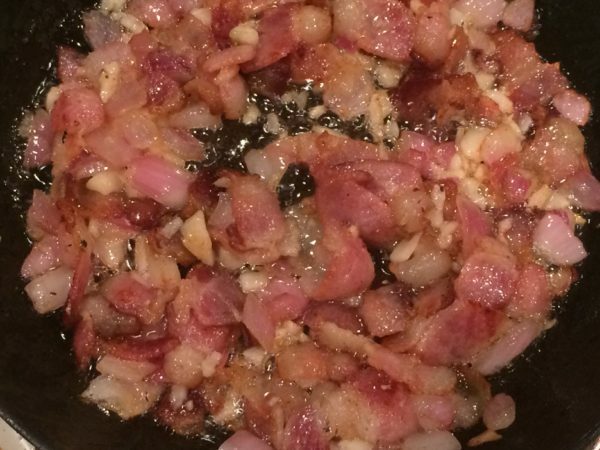 Heat bacon grease and anchovy oil in large pot. Add grated garlic, stirring continuously, until fragrant. 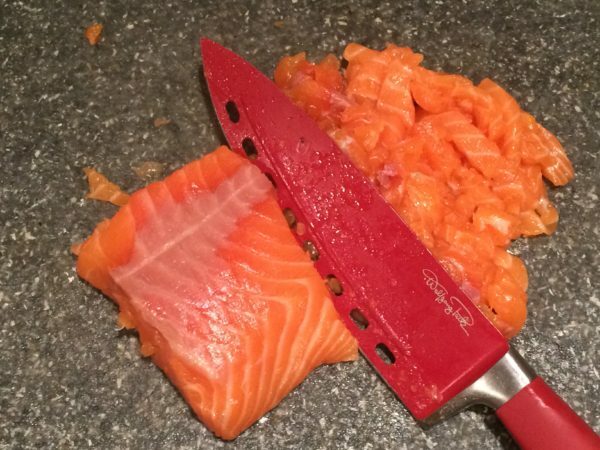 Add chopped asparagus pieces (not the tips!) 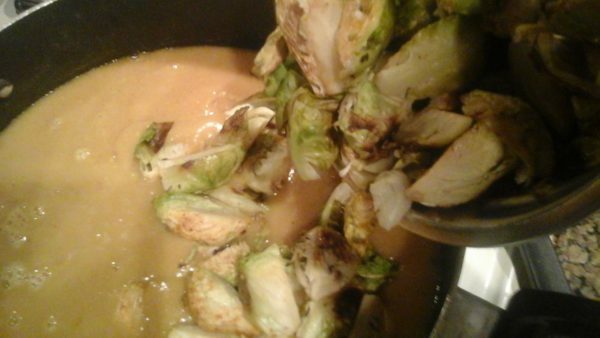 to the pot and stir frequently to coat fully with sauteed garlic. Add asparagus-infused stock back to the pot. 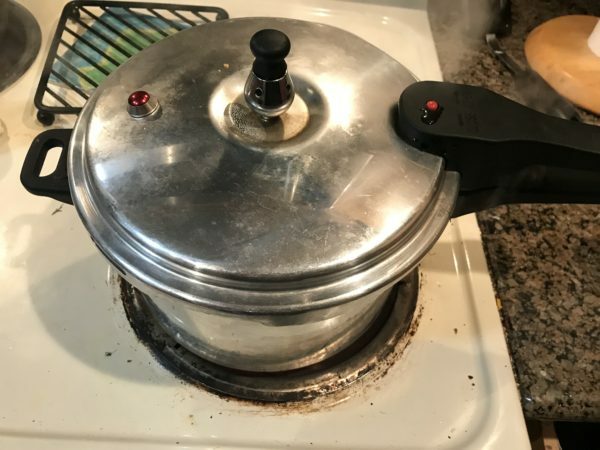 Raise heat to a boil, then lower to medium-low. 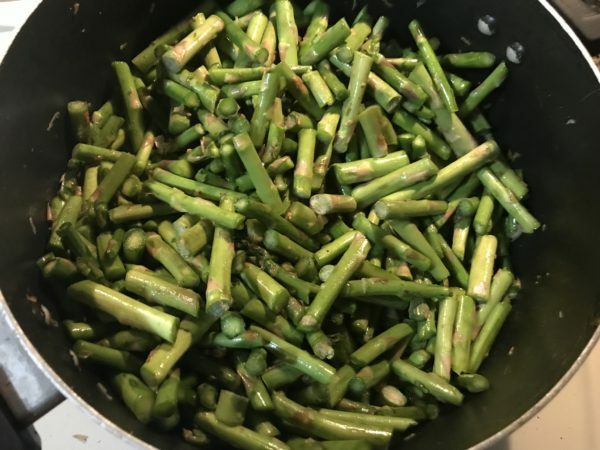 Continue cooking until asparagus is softened, about 20 minutes. Working in batches, transfer asparagus and stock to a blender and puree. Return to pot, seasoning with salt and pepper to taste. 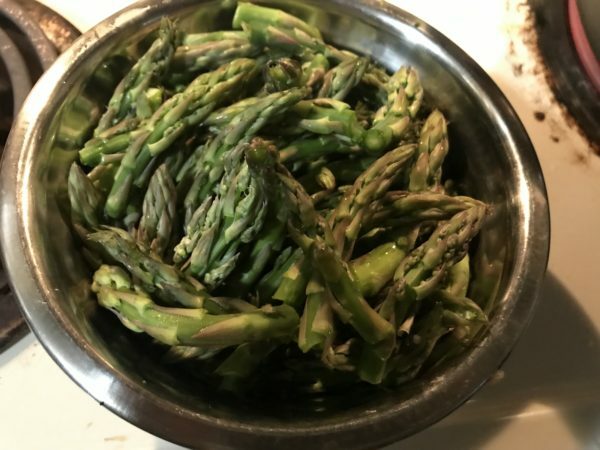 Serve with raw asparagus tips. 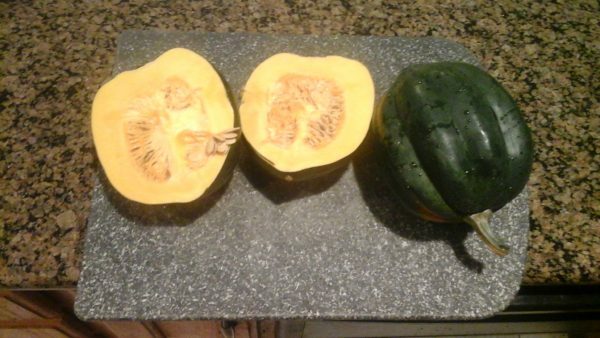 Store these separately to keep them from softening, since they provide a nice crunch to the soup. This is one of my favorite things to make. 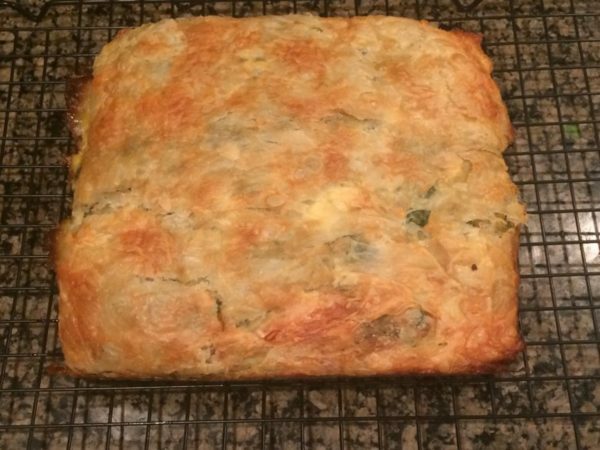 I can’t claim credit for the recipe, since it’s based on Ina Garten’s fantastic Spanakopita recipe. 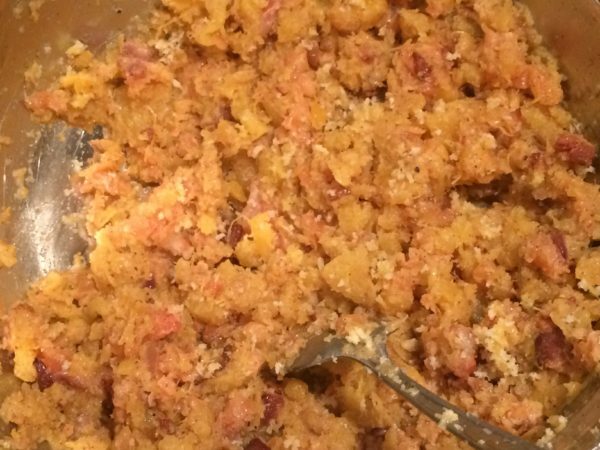 Other than substituting healthy ingredients wherever possible, one big change was adding garlic. Wow, did this add to the taste! 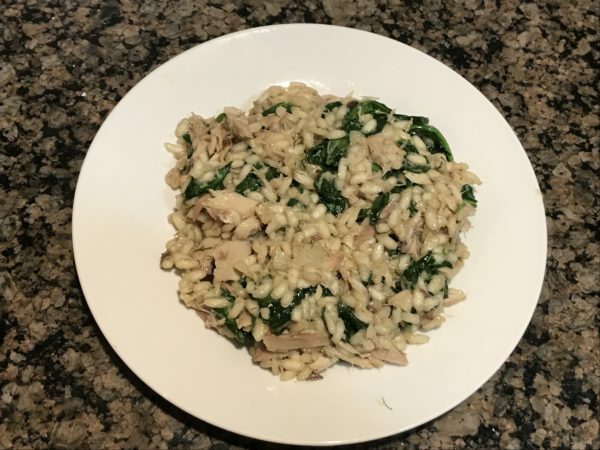 It’s almost like eating garlic bread with spinach on it. In a medium saute pan on medium heat, saute the onions with the olive oil until translucent and slightly browned, about 10 minutes. Add the salt and pepper and allow to cool slightly. Bring a large pot of water to a boil. Add the spinach and stir to ensure that all of it is covered in the water. 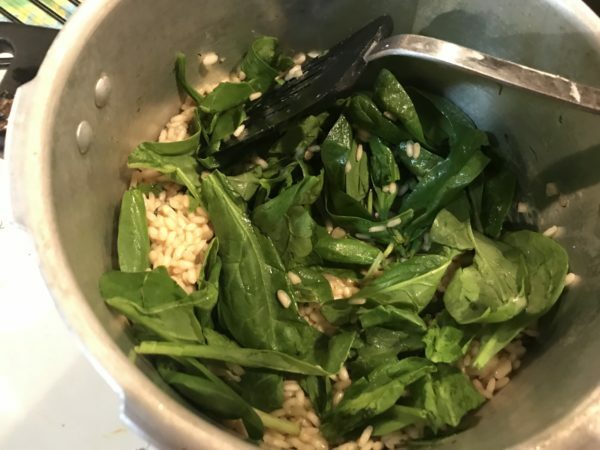 Boil until the spinach turns a bright green color, about 1 minute, then drain. 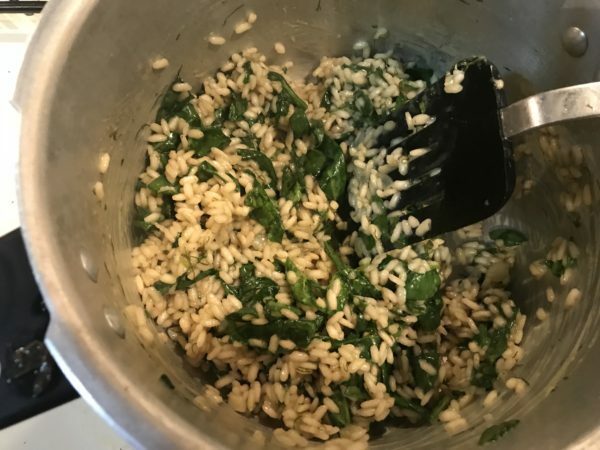 Squeeze out and discard as much of the liquid from the spinach as possible. 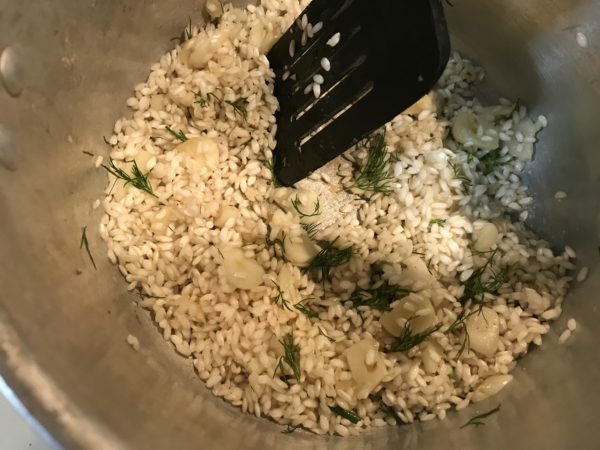 Pulse the pine nuts in a food processor if desired. 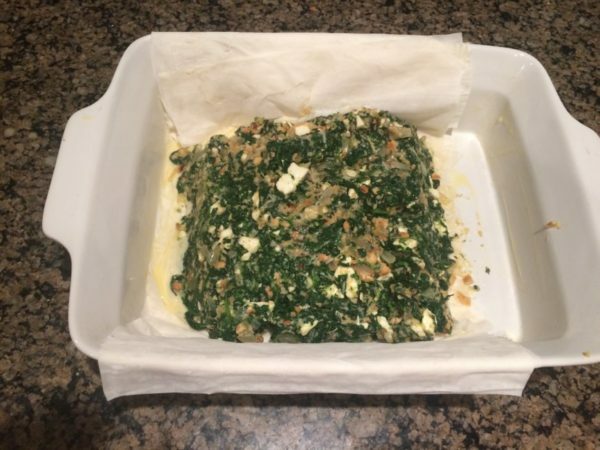 Gently mix the spinach with the onions, eggs, nutmeg, Parmesan cheese, bread crumbs, feta, and pine nuts. Butter a casserole pan and lay a sheet of phyllo dough sideways so it hangs over the sides. 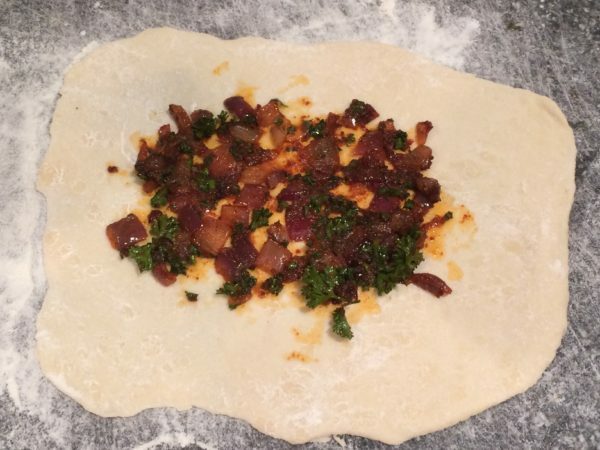 Place a damp cloth over the remaining sheets of phyllo dough so they don't dry out. Brush the part of the phyllo dough that's in the pan with butter, then press another sheet over the top of it in the same way. 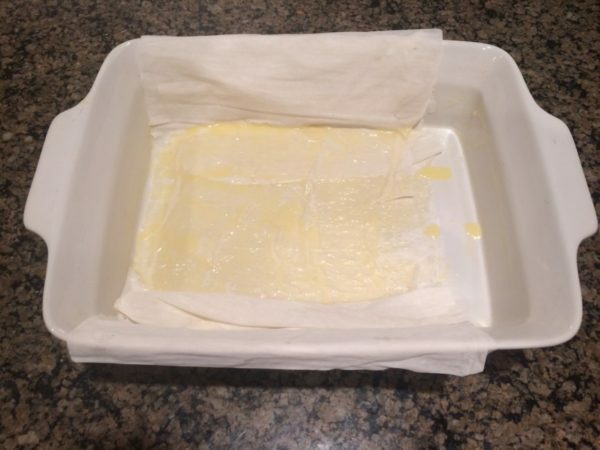 Continue alternating sheets of phyllo dough with butter until there are 6 sheets in the pan. 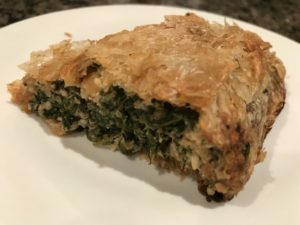 Pour the spinach mixture into the middle of the phyllo dough in the pan. Fold up the hanging edges of the first sheet of phyllo dough so it covers the spinach mixture, then brush with butter. 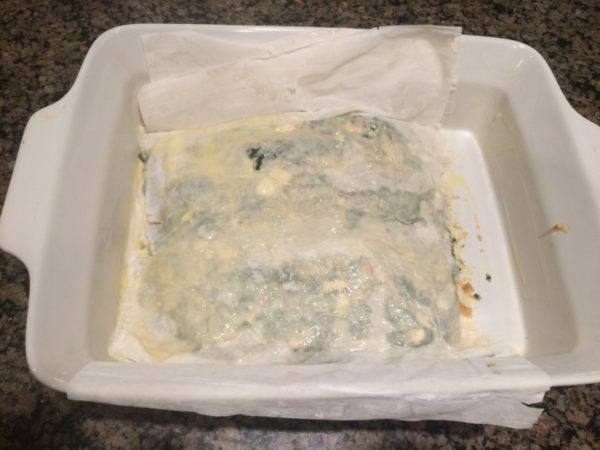 Continue this pattern with the remaining sheets flaps until the spinach filling is sealed. Pinch together any open spots. Brush the rest of the butter over the top of the pastry. Bake for 1 hour, until the top is golden brown. 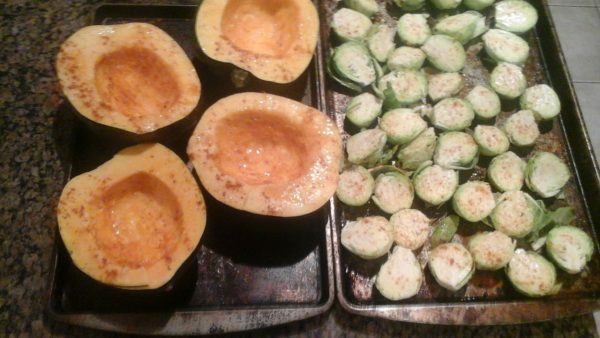 Remove from the oven and allow to cool before serving. When some people want to thicken a soup, they add flour or cornstarch. Others might add milk or cream. 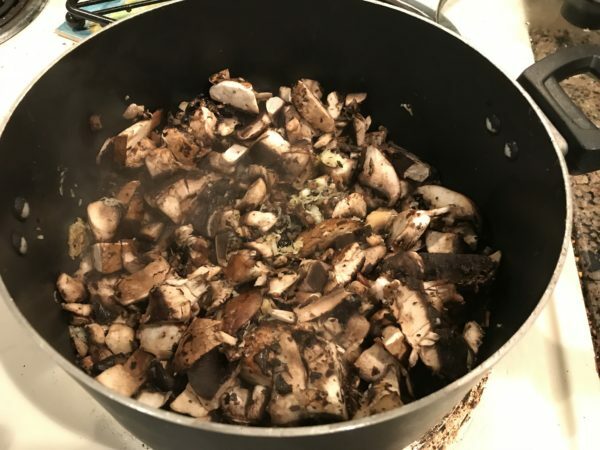 I prefer to add more of the main ingredient: I use probably double the amount of mushrooms here compared to what you’ll see in a “normal” recipe. The sheer volume makes the soup thick without adding anything that’s bad for you. 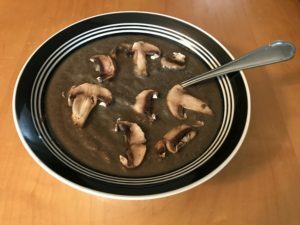 Best of all, it adds even more mushroom flavor. 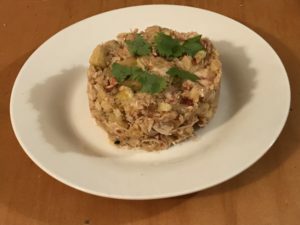 I went heavy on the garlic in this recipe because I wanted to be able to taste it. This is still a very mushroom-forward dish, but the roasted garlic notes are unmistakable. 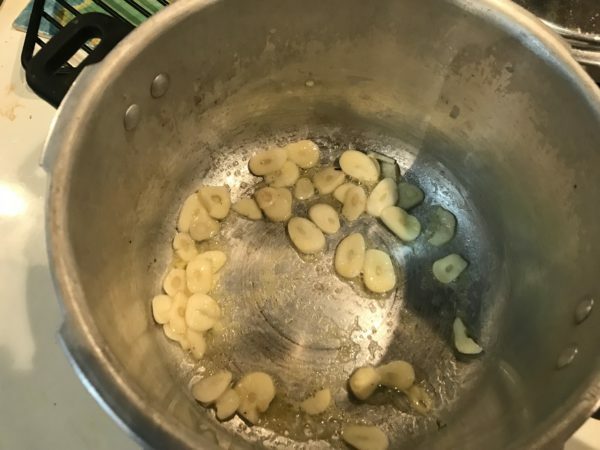 Use half as much garlic if you want the garlic to be more subtle. 0 Weight Watchers points per 8 ounces. Scrape the veins on the underside of the portabella mushroom caps off and set mushroom caps aside. 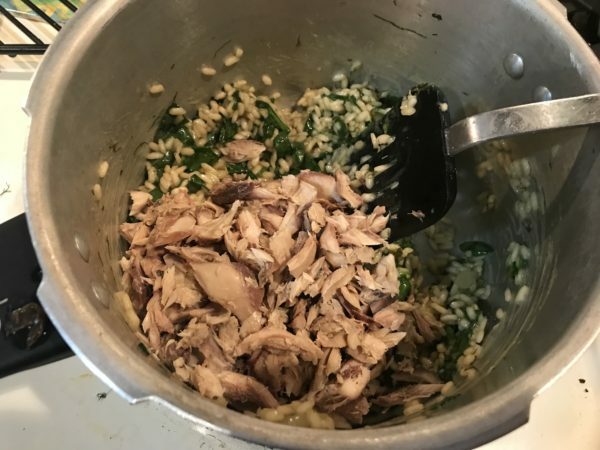 If you're making your own stock, add the scrapings to the stock mixture. 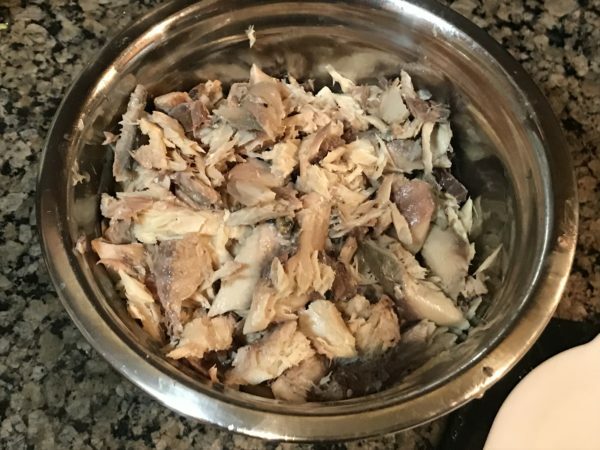 If you're using store-bought stock, add the scrapings to the stock and heat for 30 minutes. Strain through a sieve to remove the particles, and set stock aside. Heat a large pot to medium heat. Add butter and grated garlic. Stir to coat, and add thyme. Heat for about a minute, stirring constantly, until slightly browned. 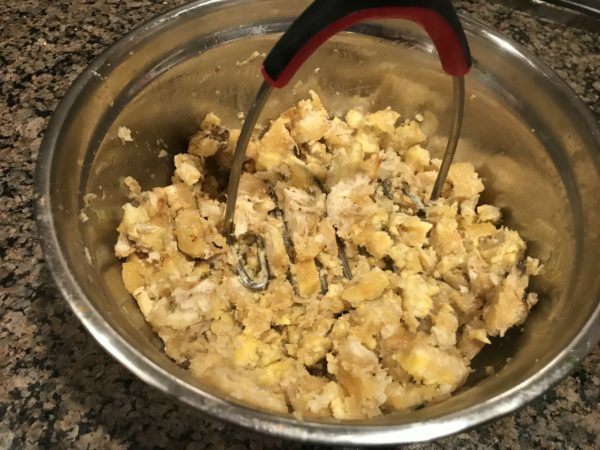 Chop portabella mushrooms and all but 3 ounces of white mushrooms into chunks. Reserve the remaining white mushrooms - uncut - until later. Add mushroom chunks to the pot. Stir thoroughly to coat. Reduce heat to medium-low. 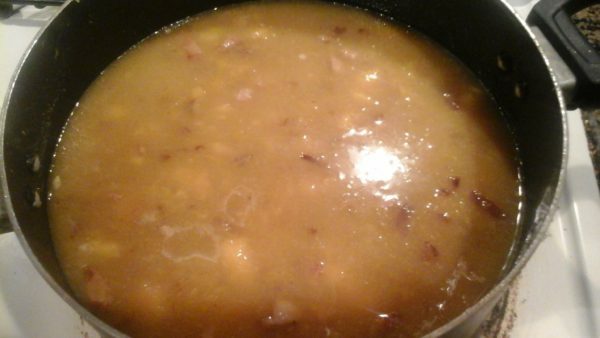 Cook for at least half an hour, stirring occasionally. 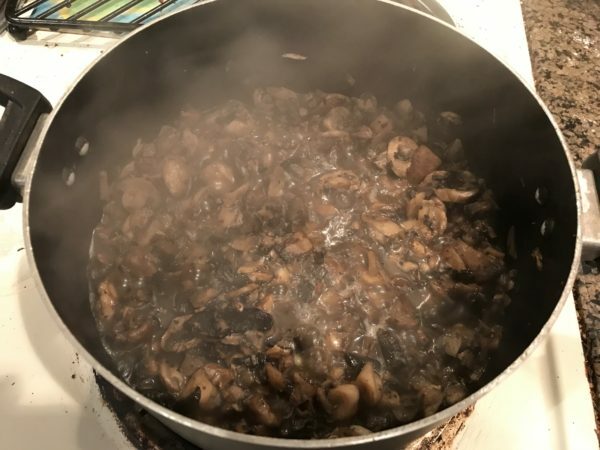 Continue cooking and stirring until all the mushroom pieces are softened. This process extracts the moisture from the mushrooms and concentrates the flavor. Add stock to the pot and mix thoroughly. Cook for another half hour on medium heat. 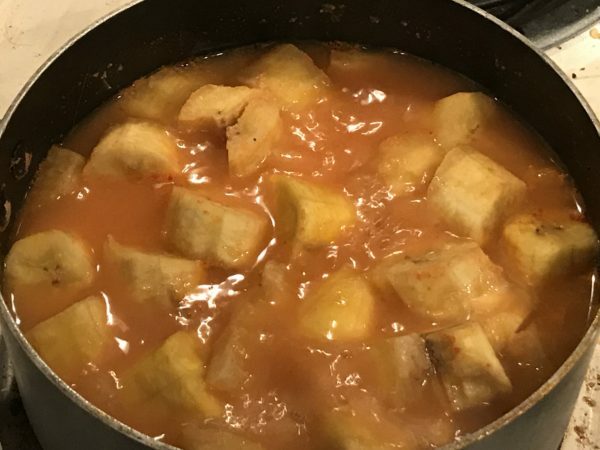 Pour soup into a blender, working in batches, and puree the soup. Return to the pot. Add salt and pepper, adjusting to taste. 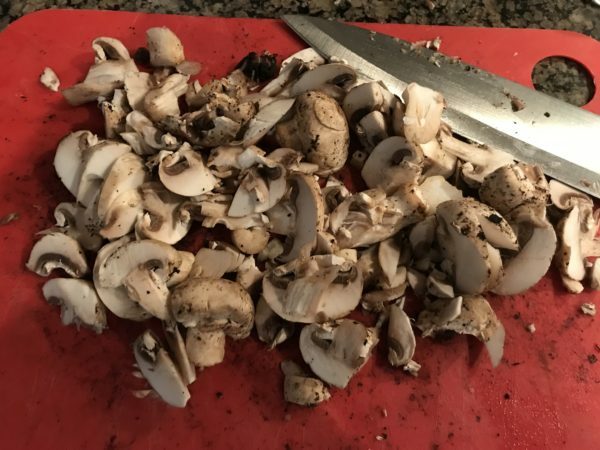 Cut remaining white mushrooms into thin slices. 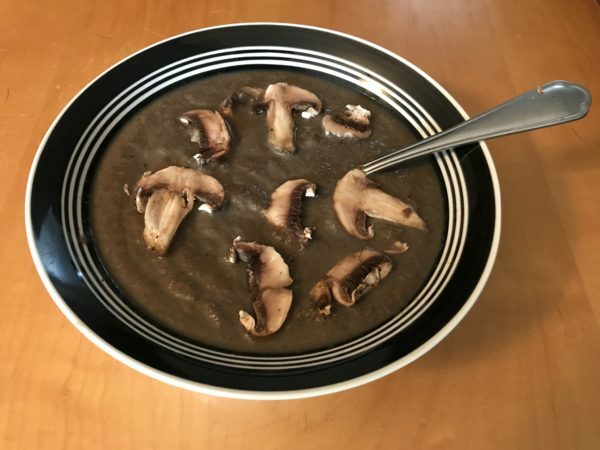 Ladle soup into bowl, and place a layer of mushroom slices on top of each bowl. Serve immediately. 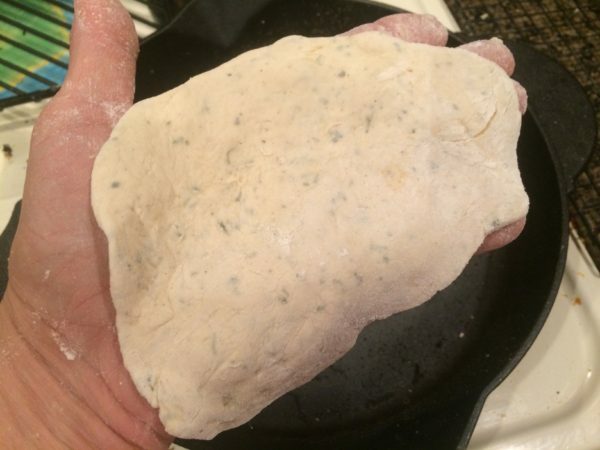 This is an adaptation of the #twoingredientdough that works so well for bagels and pizza crust. For those applications, people have reported that the dough can be sticky if you don’t use the right kind of yogurt. 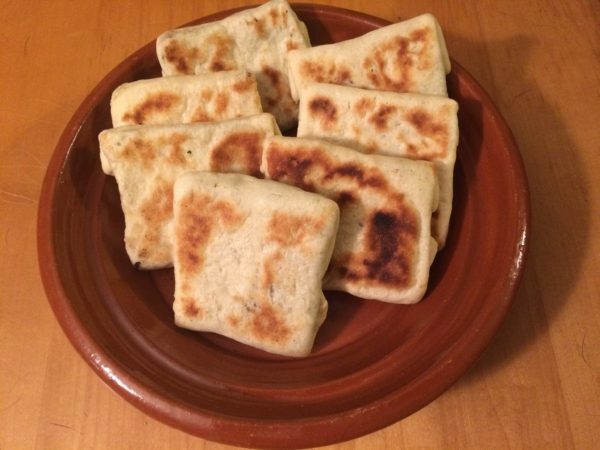 But, when making naan bread, sticky dough is exactly what you want. This makes is tricky to work with, but it also yields the best results. Regular naan bread already has yogurt as part of the dough, so figuring out the right proportions took some trial and error. 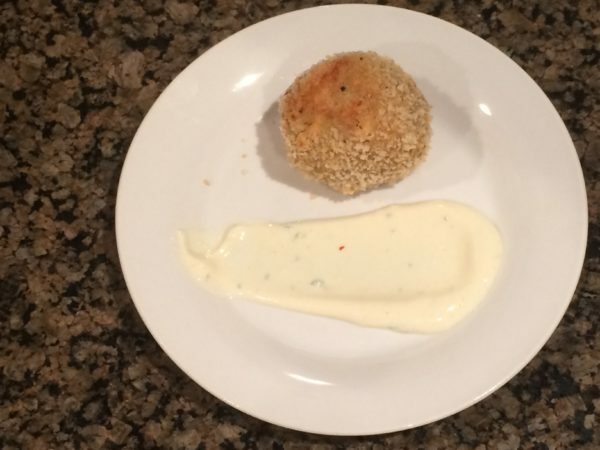 I ended up using the same proportions that worked for the other doughs – 3 cups of flour for 2 cups of yogurt, plus some water – but I made sure to use a less dense yogurt. Oikos works perfectly for naan bread. 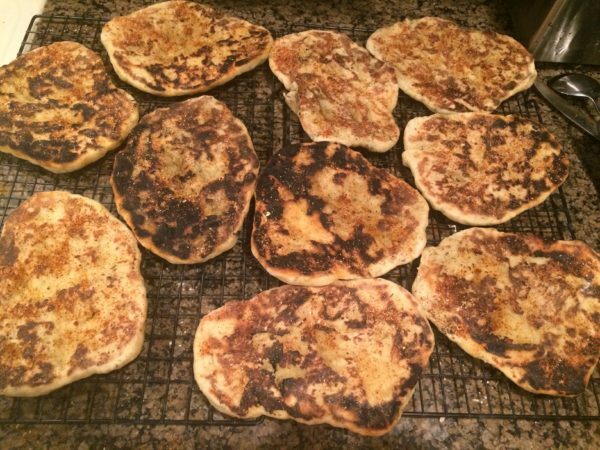 Per the sparkpeople recipe builder, each naan is only 129 calories, compared to about 200 for a regular naan. 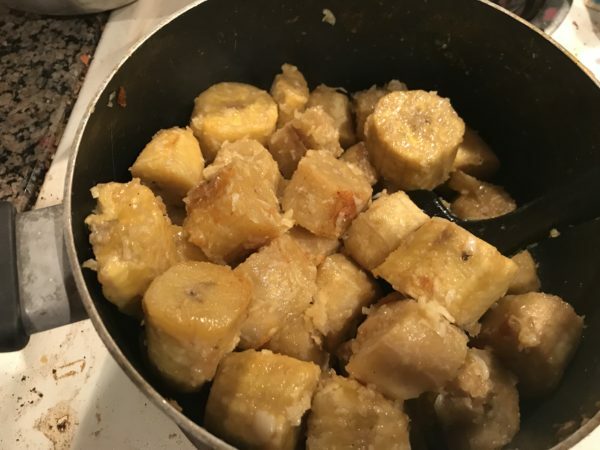 In a small bowl, dissolve the dry yeast and sugar with 1/2 cup warm water. 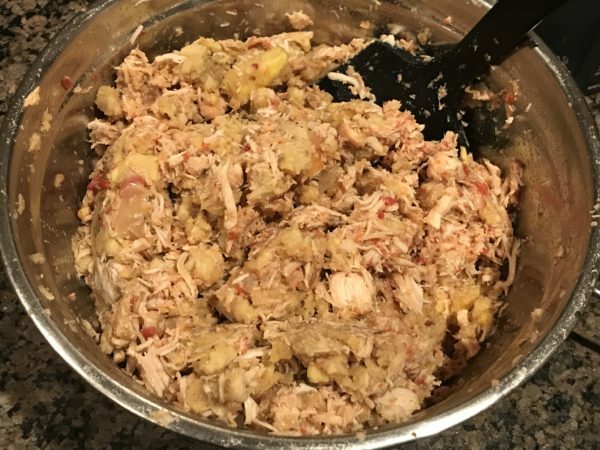 Let it sit on your counter until it's frothy, about 10 minutes. Using a large, deep bowl, combine the flour, salt, baking powder, and fenugreek leaves. Once the yeast is frothy, add the yogurt into the small bowl and stir to combine. Pour the yogurt mixture into the large bowl with salt, sugar, and baking powder. Mix the ingredients using a mixer equipped with dough hooks, or by hand with a wooden spoon. When the dry ingredients are blended, knead the dough by hand. 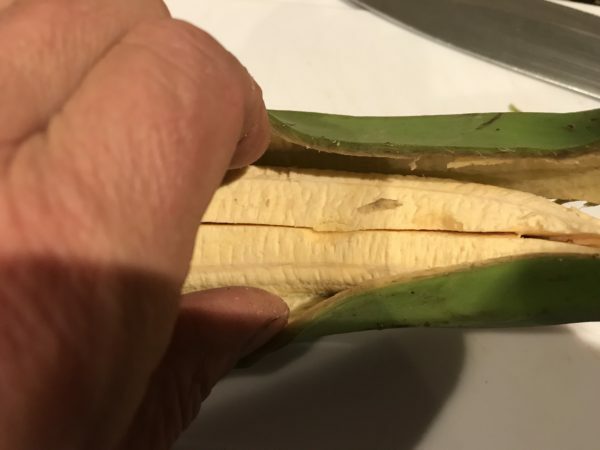 It should feel slightly sticky. Resist the urge to add more flour, as this is exactly how it should feel. As soon as it comes together, stop kneading. 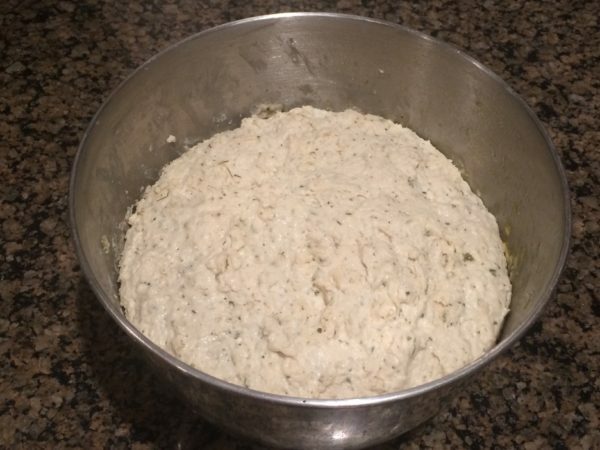 Cover the dough with plastic wrap and let it sit in a warm, draft-free place for 2 to 4 hours. NOTE: Pita bread recipes will have you "punch down" the dough after it rises, but don't do that here! If you plan to finish the bread later, seal the large bowl securely with plastic wrap and refrigerate. Return to room temperature before continuing the preparation. Dust the work area with flour. Separate the dough into 12 equal portions. The dough should be extremely soft and sticky; again, resist the urge to blend in extra flour, since this is perfect. Flatten the dough by hand, using flour on the work space to keep it from sticking, and stretch out the dough. 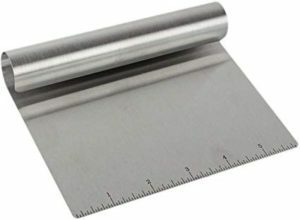 The dough will be too sticky for a rolling pin, so try to stretch it by hand into a teardrop shape that's about 1/4-inch thick. Warm a large cast-iron skillet over high heat until it's nearly smoking. Reduce heat to medium-high. Make sure you have a lid large enough to fit the skillet. Do not oil the pan! Combine garam masala and garlic salt in a small bowl. Have sesame seeds ready separately. Fill a small bowl with warm water and have it handy with a near the skillet. Lightly dust your first piece of naan with flour so it won't stick to your hand, and place in the palm of one hand. Use the other hand to brush the surface with water. 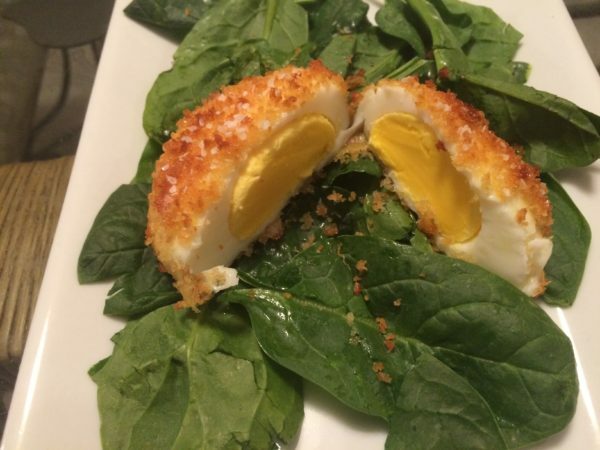 Gently lay it in the skillet - water-side down - and set your timer for 1 minute. 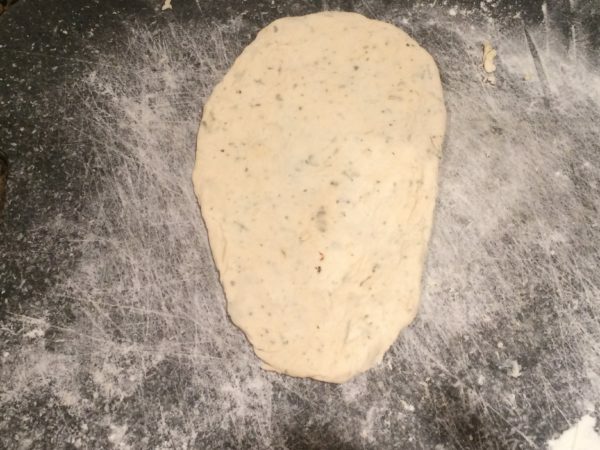 The dough may start to bubble, which is normal. After 1 minute, brush the uncooked (facing up) side with water, and flip the naan. It should be blistered and somewhat blackened, but don't worry if it isn't. 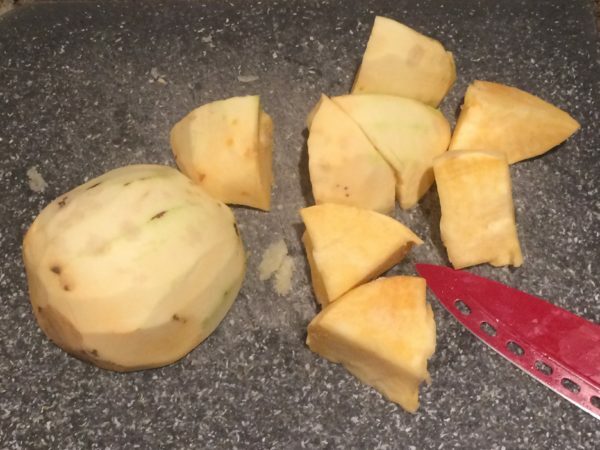 Brush the cooked side with water, and sprinkle with garam masala, garlic salt, and sesame seeds. Cover the skillet with the lid and cook 30 seconds to 1 minute more. 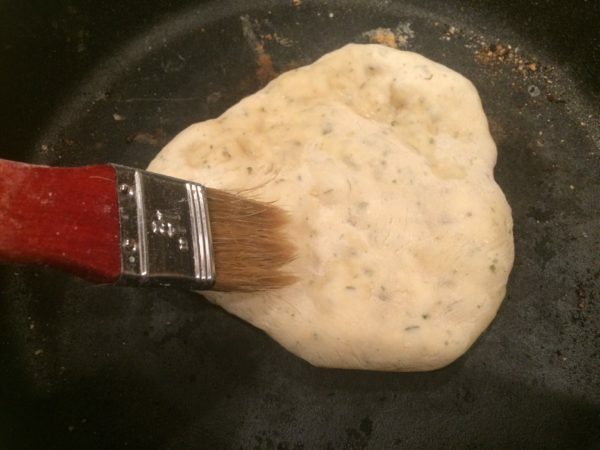 Remove the naan from the skillet. Place the naan on a cooling rack. Repeat with the next 5 naans. After making a few naans, the skillet surface will burn somewhat, so clean it with a wet paper towel. This will prevent blackening the remaining naans. Repeat the above procedure for the remaining naans, and serve.